Today there are approximately 1800 people that live on Lido Island. One noteworthy project SoCal Removal successfully completed on this island was the emergency water damage restoration repairs and mold remediation after a subzero refrigerator water supply ice maker line leak. This leak had been going on undetected for quite some time. The moisture from the slow leak had begun to penetrate through and underneath the hardwood planked flooring inside the kitchen. 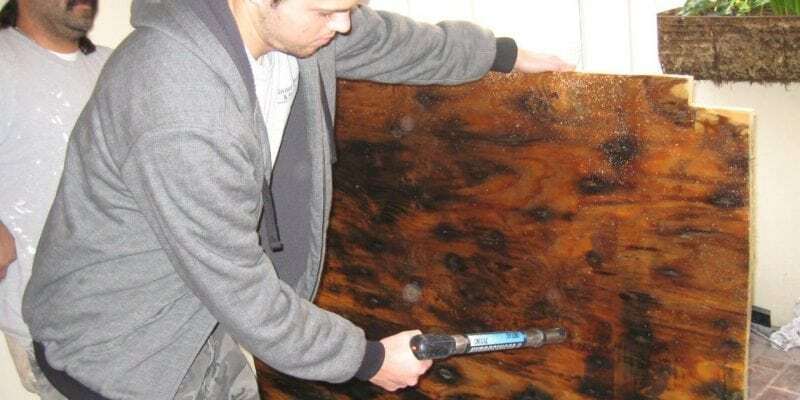 SoCal Removal quickly setup its containment and provided excellent mold remediation techniques as well as removed unsalvageable building materials such as drywall, hardwood flooring, insulation and cabinetry. The owners of this home knew something was wrong once they began to notice the physical damage to their hardwood flooring in their kitchen. Shortly thereafter the musty mold odor began to linger as well. After a successfully mold removal on the island of lido, SoCal Removal repaired the removed building materials as needed. This included rebuilding some of the custom hardwood kitchen cabinetry, drywall repair, refinishing and installed hardwood flooring, repairing the ice maker line and painting. This project took about 10 business days to complete from start to finish. This was approximately a fifteen thousand dollar project in the year 2010. Residential Home, Mold Remediation and Custom Cabinetry, Hardwood floor replacement.